Boeing, Blue Origin, Sierra Nevada Corp. and SpaceX have reported their current statuses on their respective agreements with NASA under the Commercial Crew Program for space transportation systems. 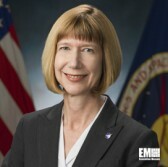 “Our partners’ detailed progress on launch and spaceflight capabilities expands domestic access to space,” Kathy Lueders, manager of the Commercial Crew Program, said Friday. NASA said these industry partners are working with the agency to develop methods to transport space crew to and from the International Space Station and low-Earth orbit. Boeing has completed its Commercial Crew Integrated Capability contract with NASA and plans to move on to Commercial Crew Transportation Capability for its CST-100 spacecraft and Atlas V rocket. SpaceX will also begin work under n the CCtCap agreement following discussions on mission operations plans and technical interchange sessions with NASA on the Crew Dragon spacecraft and Falcon 9 v 1.1 rocket. Meanwhile, Sierra Nevada is preparing for a milestone review on its reaction control system for the Dream Chaser spacecraft and free-flight milestone test under CCiCap. Blue Origin has performed interim design review on the Space Vehicle spacecraft subsystems under the Commercial Crew Development Round 2 agreement and will push forward with engine, propellant tank and pusher escape system testing.